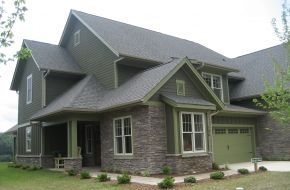 My name is Doug Burkhardt and my wife Kris and I have just relocated from Grand Rapids, Michigan to Asheville, North Carolina and have purchased a home at the Vistas of Westfield in Candler, NC. David Henry was our Realtor and I just wanted to take a minute to let you know how pleased my wife and I were with the super service we received from David Henry and Keller Williams. We have moved 7 times in the past 25 years and have had numerous Realtors assist us in these moves (and many of these Realtors were excellent). David has been the best Realtor we have ever worked with. His attention to detail is second to none. David quickly discerned where our interests lied in regards to the type of place we were looking for and honed in on properties that we would be most interested in. David has great knowledge of Asheville, was quick to provide us with just the information we were looking for, and helped us to negotiate a price that we felt was very fair and allowed us to move into a home that we are extremely pleased with. David is friendly, personable and has a good sense of humor. David is extremely knowledgeable of the area; is resourceful, very approachable, always followed up promptly to emails or phone calls, covered all of the In’s and outs associated with our move, and was always pleasant and positive in his dealings with Kris and me. We would highly recommend David to others who were looking for a Realtor in this area. Thanks again to David and to Keller Williams. We couldn’t be more pleased.